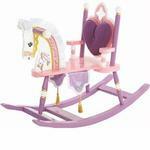 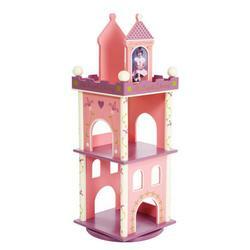 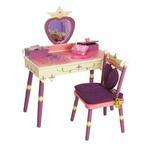 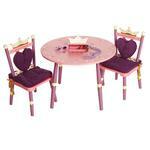 The Levels of Discovery Princess Revolving Bookcase has a castle motif in pink, purple and cream with gold accents and has a Special Message: "The Royal Library". 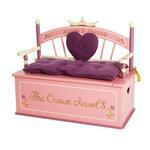 This bookcase revolves for easy access and has 10" and 12" shelves hold Her Majestys favorite books. 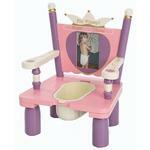 The bookcase features "Always a Princess" & "Almost Always a Princess" photo frame bookends -- each holds one 4" x 6" photo.